I just got my card. I haven’t starting using it yet. But I am really excited to start being my credit up in a positive direction again. I want to buy a house in the future. So positive, well-rounded credit is what I need!! STARTED TO GET BAD DEBTS PAY ALL WITH TOTAL CREDIT CARD.. I have had this card for 15 month and have had 3 credit line increases due to my timely monthly payoff. I started at $300, them $350, and now $500. Making payment is easy and convenient. I would recommend this card to rebuild your credit. I’m so glad I have this card. 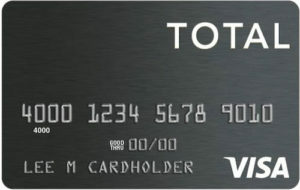 I have the total Visa card for 9 months now. Its really valuable. Great card for building credit. Glad I was able to get approved. Thank you!! !